there are several choices of excellent used vehicles for you to drive when you visit the team at Massey Yardley Chrysler Dodge Jeep Ram Fiat in Plantation, FL. This is the dealership with the variety of models for you to choose from so that you can have the drive you want on the roads around Oakland Park, FL. Come in and see what this team has for you so that you can get to driving and have an amazing experience wherever you go in your vehicle. 2017 Jeep Renegade Latitude – This is the smallest SUV from Jeep and one offered at this dealership with low miles in the odometer and an affordable price to ensure you can have a great time when you drive. Check out this SUV and let it become the one that’s perfect for the drive you need to make on the roads around Oakland Park, FL on a daily basis. 2017 Jeep Cherokee 75th Anniversary Edition – You’re going to be amazed by the driving experience you find in this impressive SUV that can be easy for you to drive. This used Jeep model is filled with the features you want so that you can enjoy the ride and its offered at this dealership near Oakland Park, FL at a reasonable price to be the right SUV for you to drive. 2014 Ram 1500 Tradesman – Here is a pickup truck that’s made to handle the load and allow you to experience what you want when you need to get the job done. Check out the power and performance of this affordable pickup truck when you visit this Jeep dealership near Oakland Park, FL. This is where you’re going to find the right vehicle for the driving you want to enjoy. 2015 Jeep Grand Cherokee Laredo – As the largest of the Jeep SUV models you can choose at this dealership near Oakland Park, FL, this impressive SUV is one that has the family comfort you need and the cargo room you’ll want when its time to head out on the road for a drive to a weekend destination location. Check out this SUV and take it for a test drive to see if it’s the right one for you. 2017 Dodge Grand Caravan GT – If you want to have a vehicle that can truly move your family where you need to go, this is the one that can handle the job for you. Check out this minivan and let it be the family vehicle that provides you with the ride, comfort, and versatility you’ve been looking for. This minivan is offered at the Jeep dealership to be a great choice for your Oakland Park, FL driving needs. 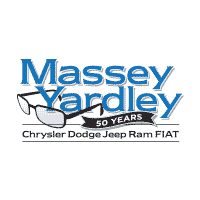 Come in and check out what Massey Yardley Chrysler Dodge Jeep Ram Fiat in Plantation, FL has to offer. This is the dealership you know you can trust for the drive you want in Oakland Park, FL.